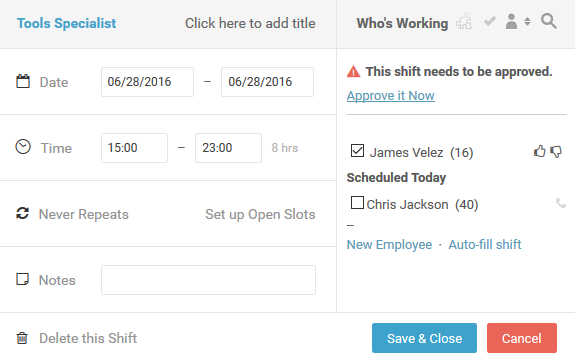 Shift Approval allows managers to approve the worked hours of a shift against scheduled hours. Put simply, a manual attendance process to track the worked hours, late and absenteeism (when you are not using the powerful Time Clock feature that can automate this process). Shift Approval feature is enabled from Settings > ShiftPlanning > Use Shift Approval feature. 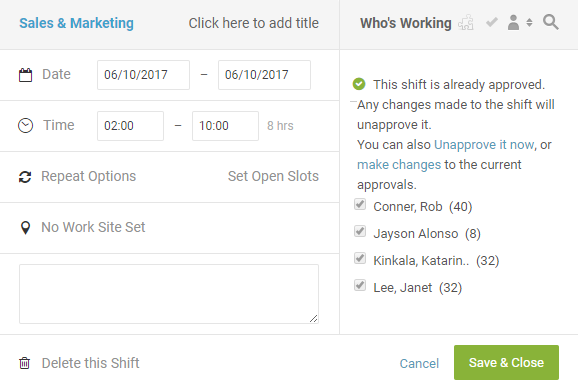 Once enabled, Shifts Approval option will show up on the Dashboard when there are shifts that are pending for approval. Select the Shift Approval option which will load all the shift needing approval. 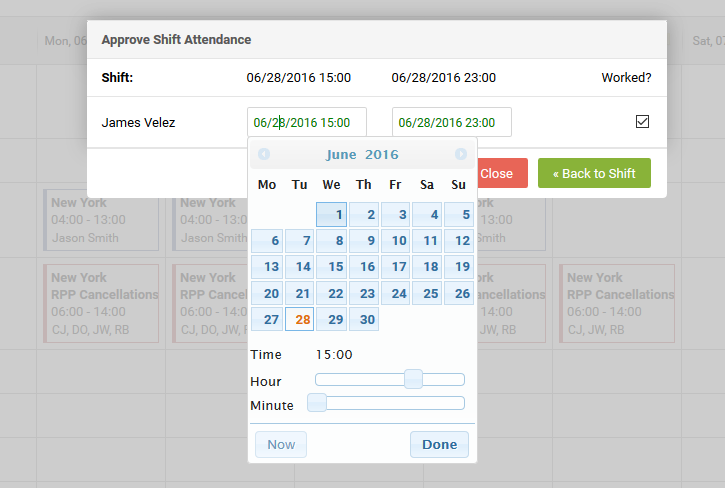 Click on top of the shift details to edited the worked hours or un-check the checkbox to mark someone Absent. Click past shifts needing the approval to open the Inline Shift Editor. The Shift Edit Window will have the option on right side Approve it now. Click that option and you will be taken to the approval page where you can adjust the worked hours as well as can uncheck the checkbox under Worked? for showing an employee absent. The approved hours' data can be pulled from the reports Confirmed Shifts & Hours Confirmed - Payroll.